We believe that real change can happen if you talk about what needs to be changed while at the same time do ourselves what we talk about. This approach has resulted in a lot of lessons learned but also credibility. In addition it has also lead to that we see the value of pausing and just be in the present. Stillness for peace, stillness to be in contact with your inner peace but also to be in contact with everything around us that is alive. Today we are in the position of talking, doing and being. It gives balance and a strong foundation to work from. We are right now working together with the local community for a forest management without clear felling here in Tiveden and that hopefully will become a good example for the rest of Sweden. Furthermore, we are deeply involved in defending the clear water lake Unden against mining. Earlier, we have both been engaged in projects and activities outside the farm, such as Klimatpiloterna i Askersund & Laxå, a project where ten families learned how to minimize their carbon footprint, Framtidsveckor (sustainability weeks) during wich different actors demonstrated good examples of sustainability, we have been active in the transistion movement and given presentations on climate change and sustainability, workshops on values’ impact to strengthen people to engage in sustainability issues, etc. 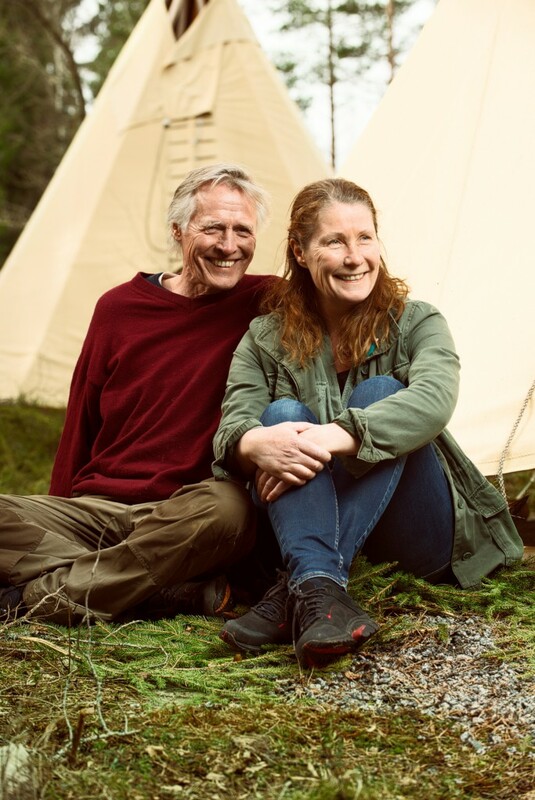 Martha has a background in communications with long exeperience from large international b2b corporations and Anders is a forester with long experience from the University of agriculture and from working with local communities in Africa and in the north of Sweden.